Save the date, March 15 to participate and cheer our Rotary teams on Friday, March 15 "Bowl for Kids' Sake" at Harbor Hills Recreation Center in Port Washington! Food will be catered by Atlas BBQ that evening. Dinner will be served at 6:30 pm and bowling starts at 7:15 pm. It's fun! The night will include bowling, a 50-50 raffle, a "Restaurant Wheel" ($5 to win a chance for gift cards to local restaurants), a live auction, and bowling teams can buy a "Red Pin Challenge" for $5 each or $20/team to have a chance to win a prize for getting a strike whenever a red pin is the head pin. If you don't bowl, it's OK to come and cheer on our Rotary teams!! A special prize will be awarded to the "Best 70s Team"...groovy, man!...so think of a name and what to where from the 70s!! Fun! I need at least 2 Team Captains to volunteer to step up and organize teams of 5 or 6 Rotarians (spouses or significant others can participate too). E-mail me please, at dkliber@aol.com. 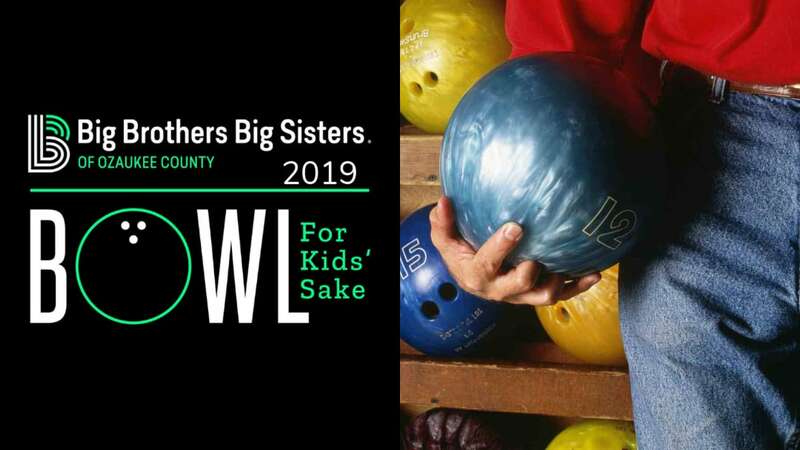 For more information and to get a "Pledge Form" to start to collect donations, please go to http://www.bbbsoz.org/events/bowl-for-kids-sake or call (262) 377-0784. Please see how Team Captains can register their team on-line and collect pledges on-line too. If you do register, please let me know so I can track our teams...and their pledges too!